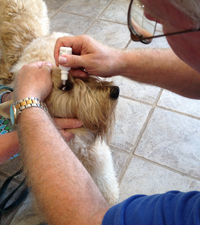 Many thanks to Doctor Susan Keil of Keil Veterinary Ophthalmology for making our clinic a success. Appointments start at 8:30 a.m. 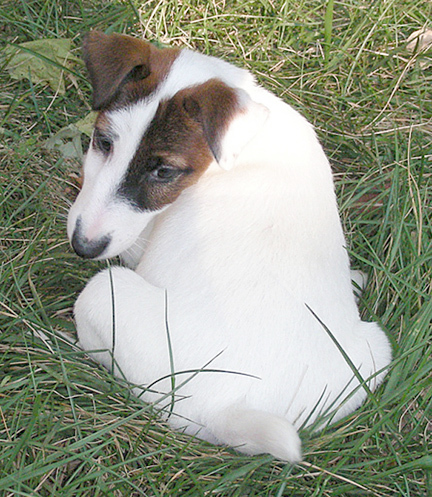 Your dog needs to be checked in 30 minutes prior to exam for pupil dilation. Please remember that OFA Eye Certification Registry requires a permanent identification on your dog such as a microchip or tattoo. Make checks payable to SKC (Sunflower Kennel Club) for this eye clinic. Class sessions are scheduled several times throughout the year. Please watch our blog for dates. Puppies must be 3 months of age. All dogs must be current on their shots. PLEASE NOTE: Classes are once again held on Monday nights currently. The second Monday of every month is reserved for Sunflower Kennel Club monthly meetings, therefore there are no classes on the second Monday of most months. We don’t have classes on those evenings but you are welcome to attend our meetings. 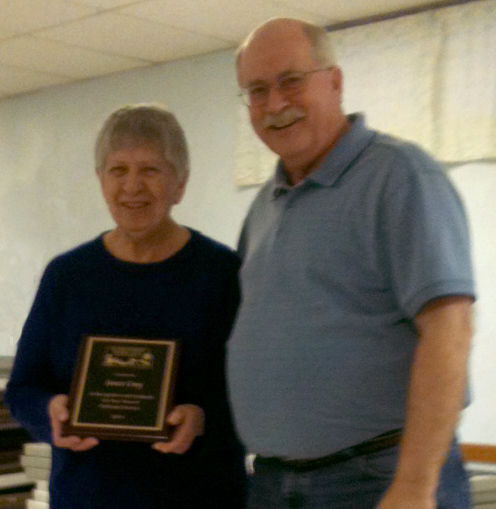 In appreciation for so many years of service to Sunflower Kennel Club, President Steve Kuechler presents long time member, Janet Croy with a special award. Janet touches many lives by teaching obedience classes on Monday nights and helping people make their dogs better canine citizens. Janet has served on SKC’s Board of Governors for many years and currently holds that position. 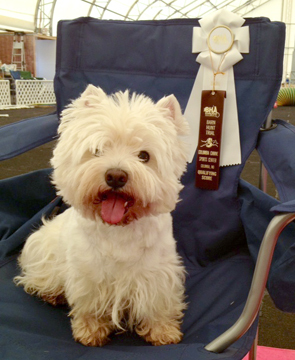 Congratulations to SKC member Deb Borgo and Sami (Ch Glennhaven’s Belisama D’Borgo RA NJP ROMX PROM CGC) for qualifying with one leg toward a title and winning 4th in small dogs at the first official Barn Hunt Association Sanctioned Trial which took place April 13 & 14, 2013 in Columbia, MO. The new sport of Barn Hunt is based on the hunting and teamwork skills historically used by “ratcatcher” canines in ridding barns of vermin. Dogs and handlers work as a team to locate and mark rats (safe in aerated tubes) hidden in a maze of straw or hay bales. The event is open to all dogs. Sami wears a big dog smile after her Barn Hunt experience. Sunflower Kennel Club of Olathe, Kansas hosted the AKC’s new event for pure bred puppies during their May 11 all-breed dog show. 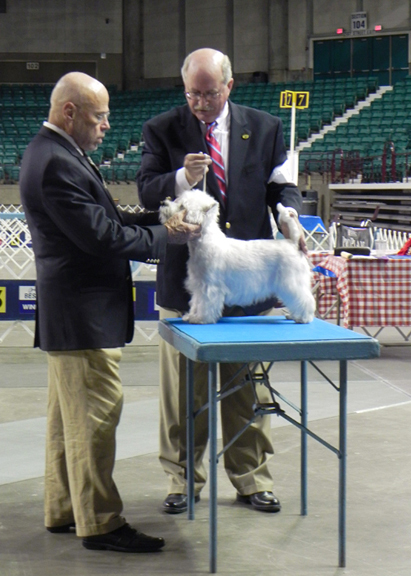 The 4 to 6 Month Beginner Puppy Competition was a fun event that introduced the structured dog show environment to young puppies and their owners. Some owners had never shown a dog before. 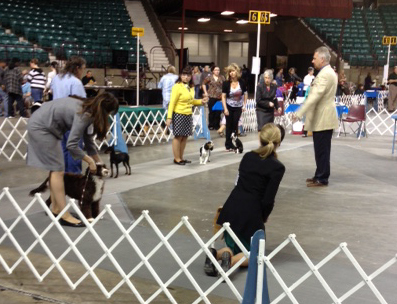 Exhibitors and their dogs earned ribbons and points toward a Certificate of Merit. Best of all it was a good time for both. 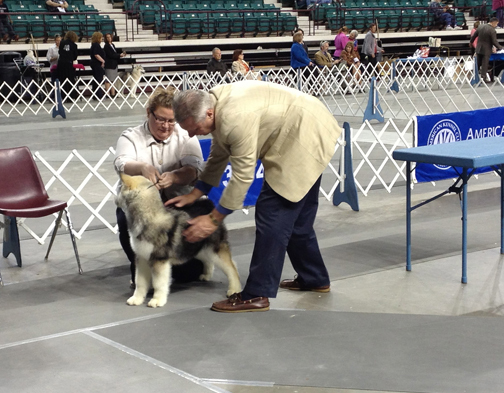 Judge Mike Otten examines an Alaskan Malamute puppy.